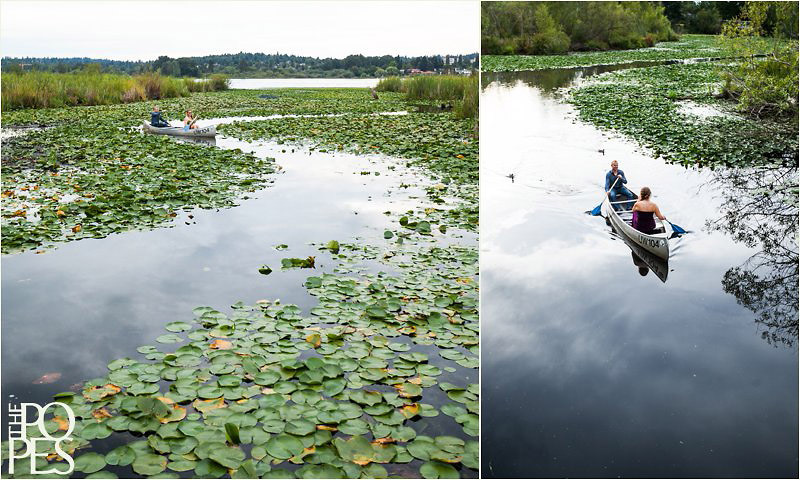 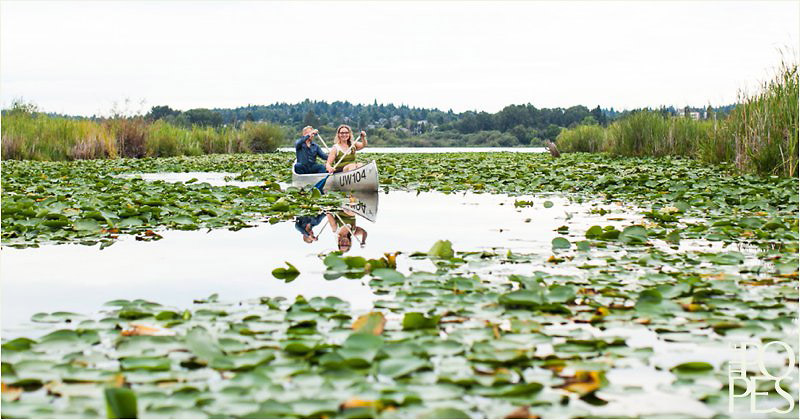 When we began planning Erica & Alex’s session, we asked them what they thought about doing their session in a canoe/on land at the Seattle Arboretum. 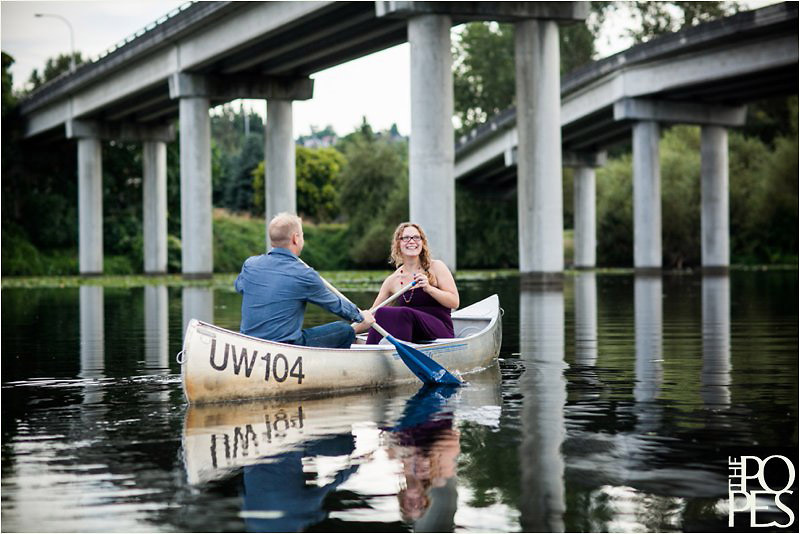 Being the outdoor-loving couple that they are, they said “Sure! 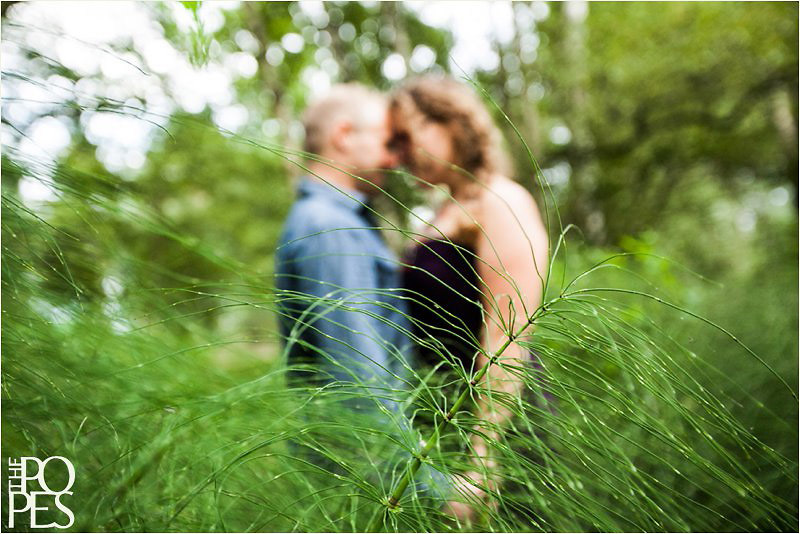 That sounds like fun,” and a session that Gerald and I have been wanting to do for over a year finally became a reality. 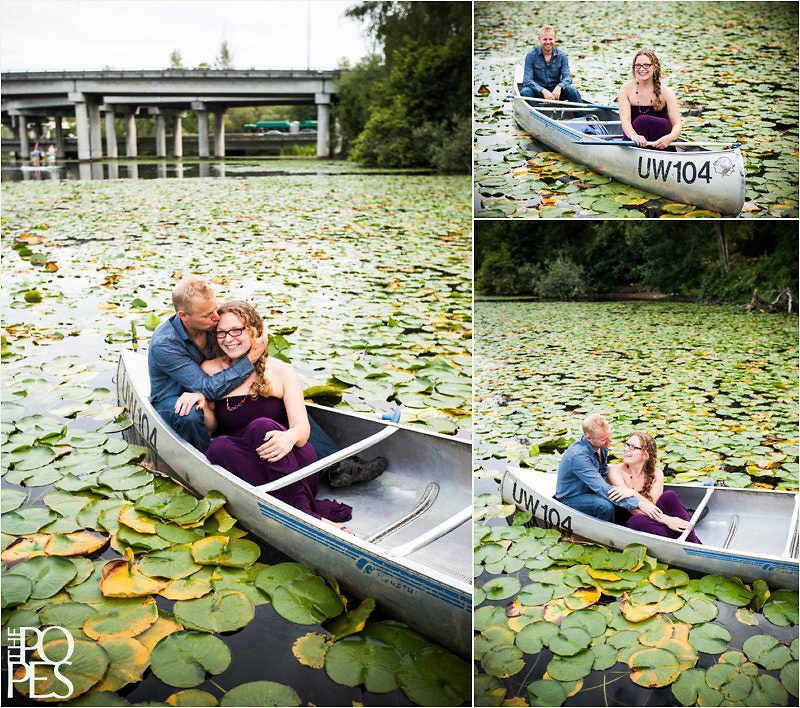 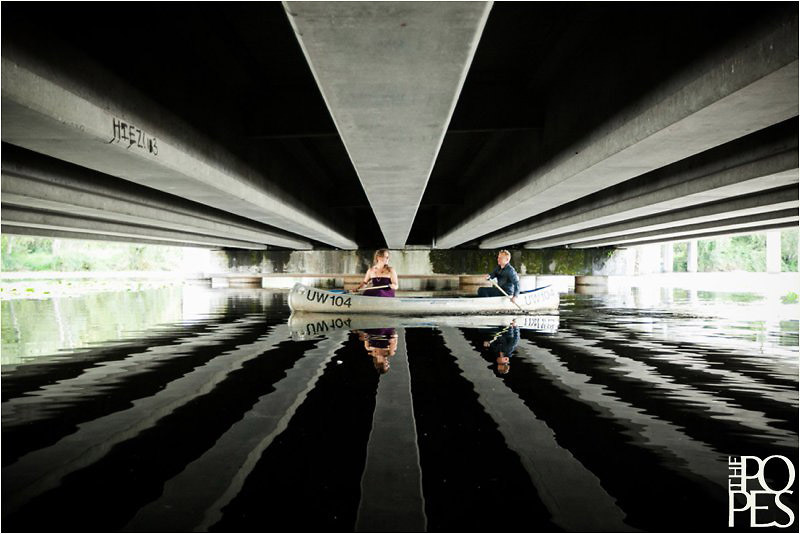 We photographed most of the session from our kayak, proving that a tandem kayak really will test the quality of your relationship (especially when your husband decides that the only way to get “the shot” is by standing on top of the kayak), and we loved every single second of creating these images. 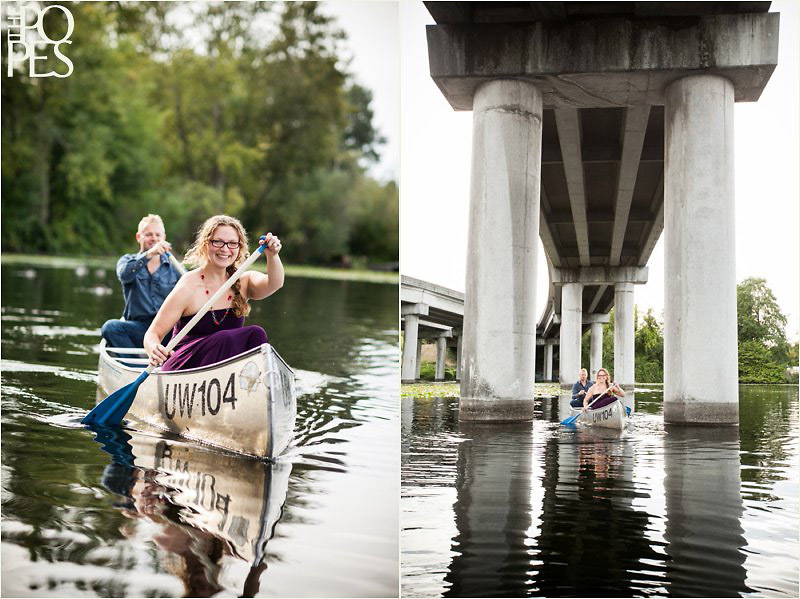 Thank you, Erica & Alex for coming out on the water with us! 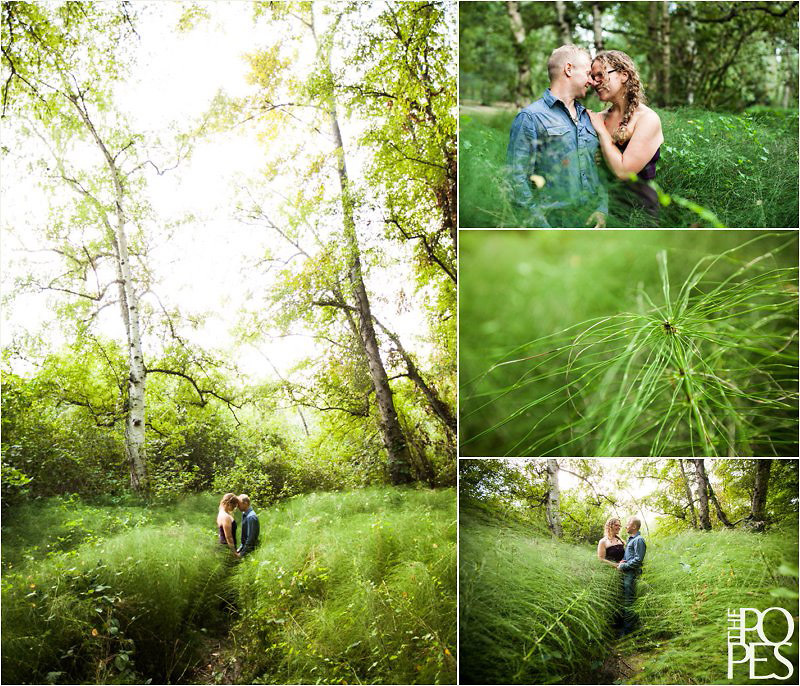 We had a great time and can’t wait for your wedding next August! 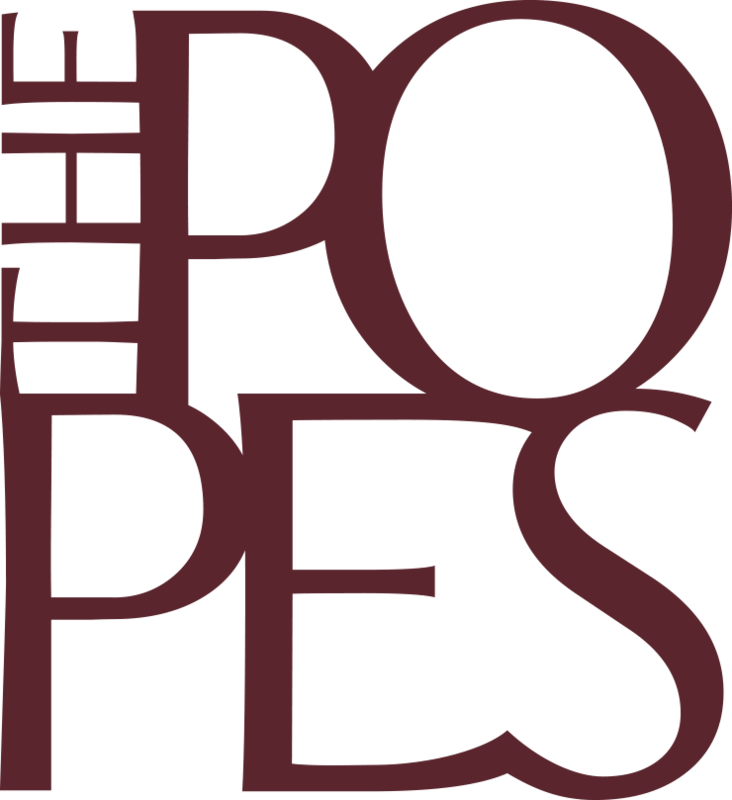 See more from this session and order prints at www.thepopes.instaproofs.com. 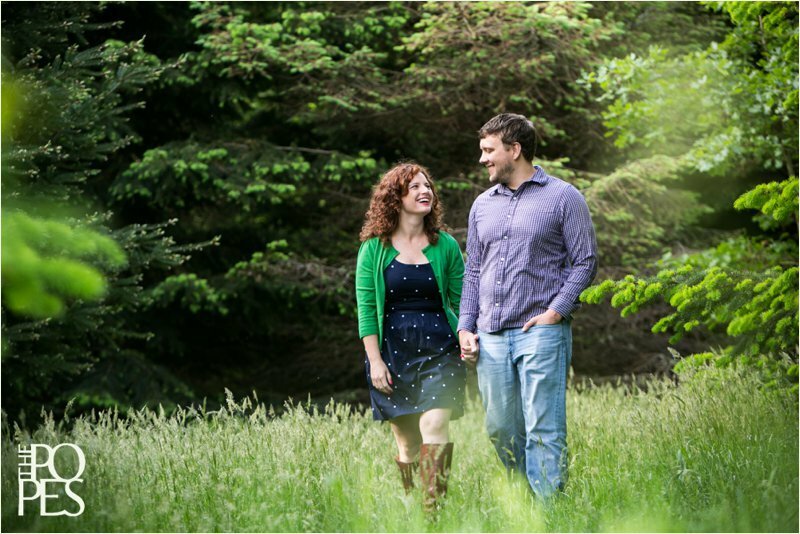 Like us on Facebook at here.